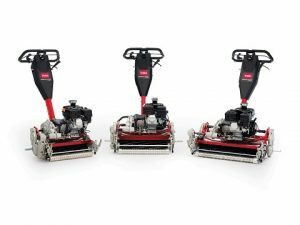 Bloomington, Minnesota, United States: Toro has announced the launch of the all-new Greensmaster 1000 Series fixed-head walk greens mowers. This revolutionary new series of fixed-head greensmowers, with several patent-pending features, was designed to eliminate variability in the walk mowing process by integrating operators of all sizes and skill levels to work in harmony with the machine. 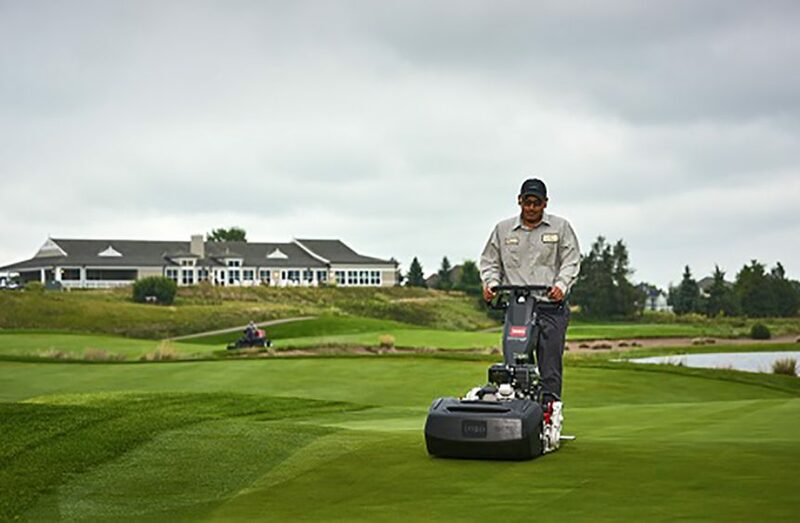 Ultimately, the desired result was to improve the operator experience and deliver the most consistent quality-of-cut and playability for golfers on each and every green. For instance, the innovative telescoping loop handle can be easily adjusted to comfortably accommodate operators of varying heights. The simple adjustment simultaneously helps to deliver a more consistent cut, while reducing operator fatigue. Handle isolation mounts give the cutting units consistent contact with the ground throughout the mowing process, eliminating even the slightest variability in the height-of-cut that can occur because of variations in handle pressure or differing operator strides. New operator controls, in conjunction with a shorter distance between the roller and drum, deliver significantly more precise handling in turns as well as more consistent performance on greens with modest undulations. Other features include the new Edge Series reels for a crisp, close, precise cut, an easy-to-reach knob for adjusting the clip rate and flexibility to choose between 8, 11 and 14 blade-cutting units. It takes only minutes to replace an entire cutting unit or engine assembly. From the modular design for easy repair and replacement of key components to the ability of each unit to backlap directly using transport wheels, the entire maintenance process is streamlined to maximise uptime without sacrificing performance.